If you’re looking to update your style by going back in time and don’t want to spend a lot of money doing it, then these DIY shabby chic decoration ideas are exactly what you need! Redesigning your living space doesn’t take much. Maybe a few rolls of lace, some crafting glue, sandpaper, and a couple cans of spray paint and you’ll be well on your way to enjoying the relaxing atmosphere of shabby chic décor styled after a simpler mode of living. And, once you’re done, forget about worrying over scuffs and scratches ruining your furniture, because that’s what shabby chic is all about: merging feminine elegance with the regal vibe of time and weather. 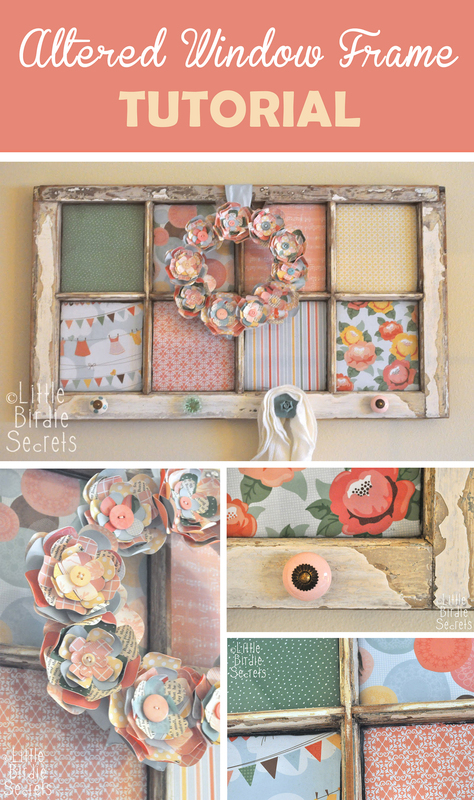 These DIY shabby chic decorations use simple accents – like fabric roses and newspaper prints – along with varied textures – like burlap, lace, and chalk paints – to give off just the right feel. Don’t let your leftover pieces of trim and spare fabric go to waste! 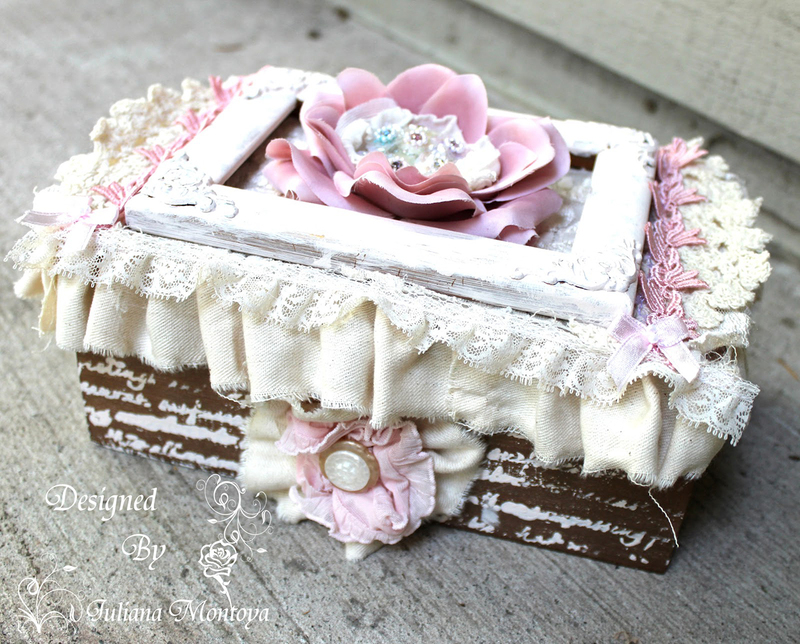 A plain wooden box can be transformed into an adorable vintage-looking keepsake holder with some fabric pieces, buttons and a small picture frame. The exposed wood is stenciled with paint in white script writing for an even more antiqued look, making this box as cute as a button. This old shutter has been spruced up with some pink paint and sanded for the perfect shabby chic look. 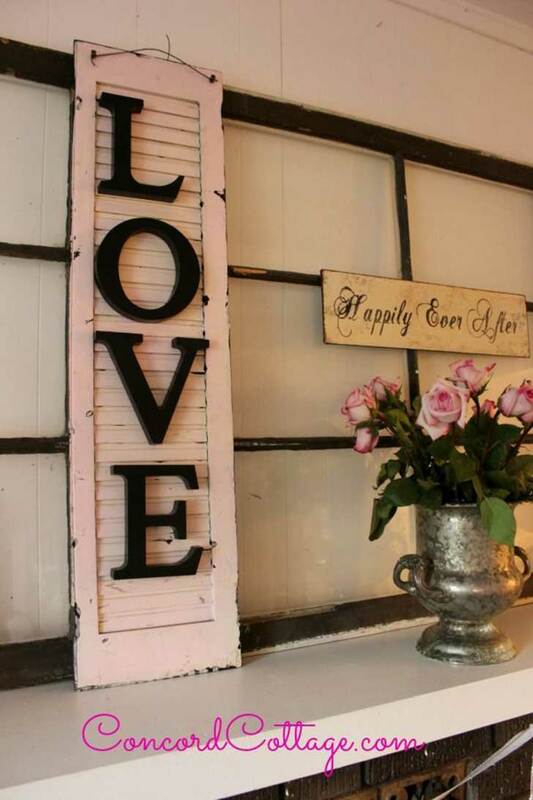 Make your home more warm and welcoming by showing off your philosophy of “LOVE” in bold block letters. This is a wonderful way to re-purpose an old part of a house that would otherwise just be thrown away. Got a fancy mirror but you’re not wild about the color? That’s an easy fix with a little colored chalk paint and a piece of sandpaper. This mirror went from tacky silver to a teal shabby chic dream with a coat of matte chalk paint. Sanding the edges gives it that older worn look and makes this mirror pop with style. 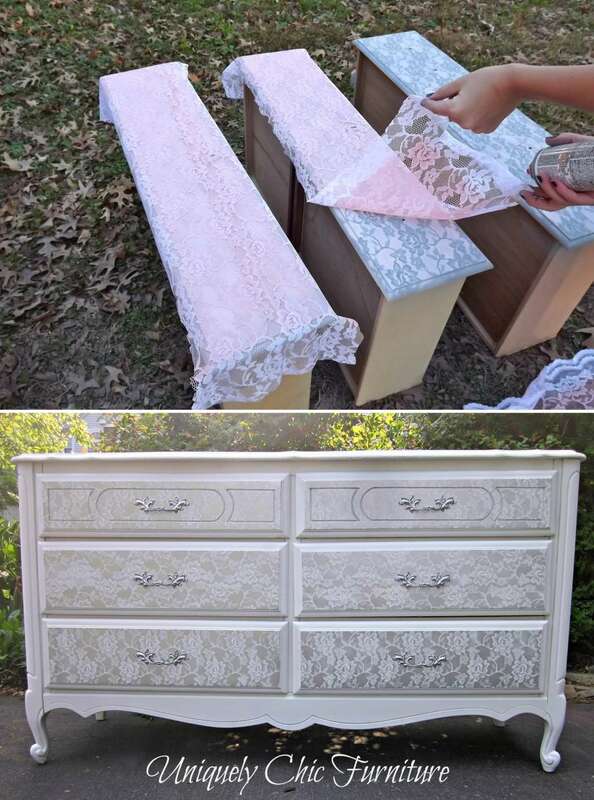 Drawers went from plan Jane to lovely in lace on this simple dresser. The key to this subtle and beautiful piece of furniture is the colors that almost match but are a few shades apart. When the lace is used as a stencil, you get a perfect pattern every time and with some matching drawer handles, this piece screams both elegance and style. Display your exquisite taste in jewelry with this little piece of ingenious crafting. This earring connoisseur took an ornate frame and coated it with a shiny metallic color between gold and silver. 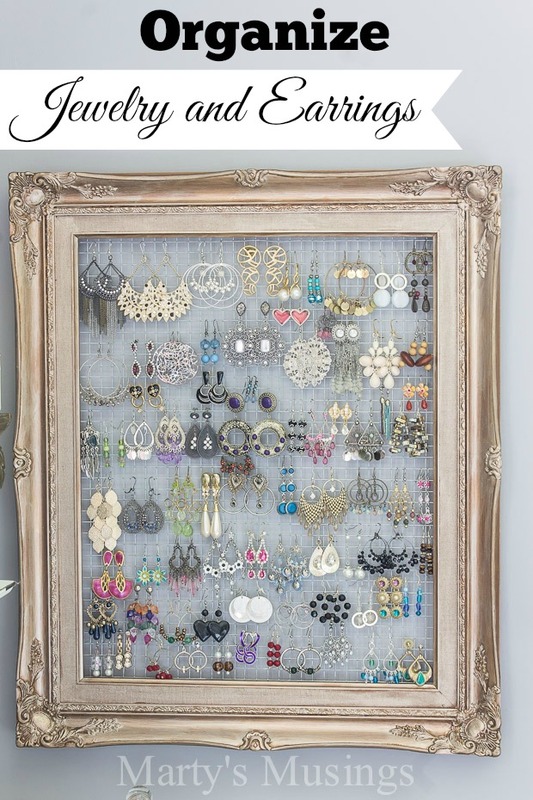 The chicken wire attached to the back makes it easy to hang earrings and other jewelry so they are displayed in style and don’t get tangled! An old window frame makes the perfect foundation for this adorable bit of artistry. Spare pieces of fabric are attached to the back where the panes would be and a little wreath of fabric flowers tops it all off. This artistic piece gives almost a country-esque, homey feel to any area of the house and can be made of completely recycled materials! Matte colored chalk paint is a shabby chic DIY-er’s best friend and can be used on a huge range of furniture and knick-knacks. 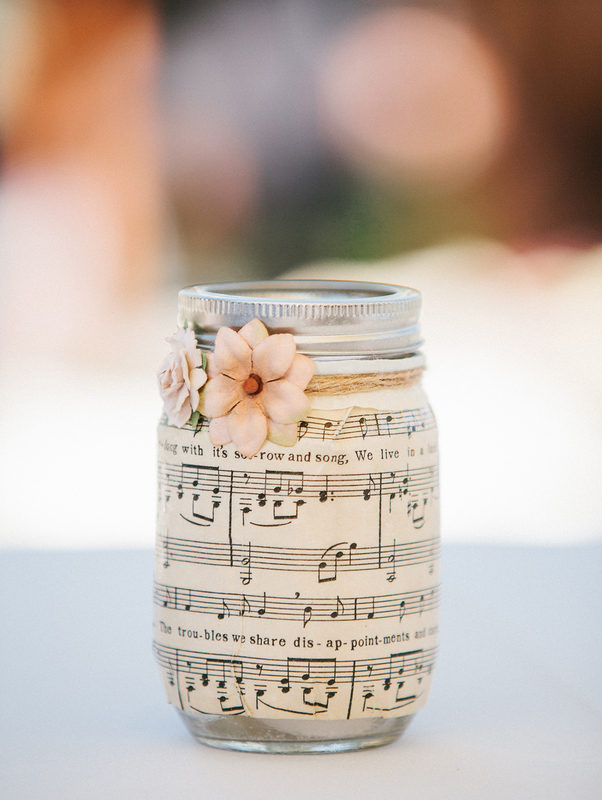 Try laying a coat on old mason jars and sand the edges just a bit for a vintage yet updated look. 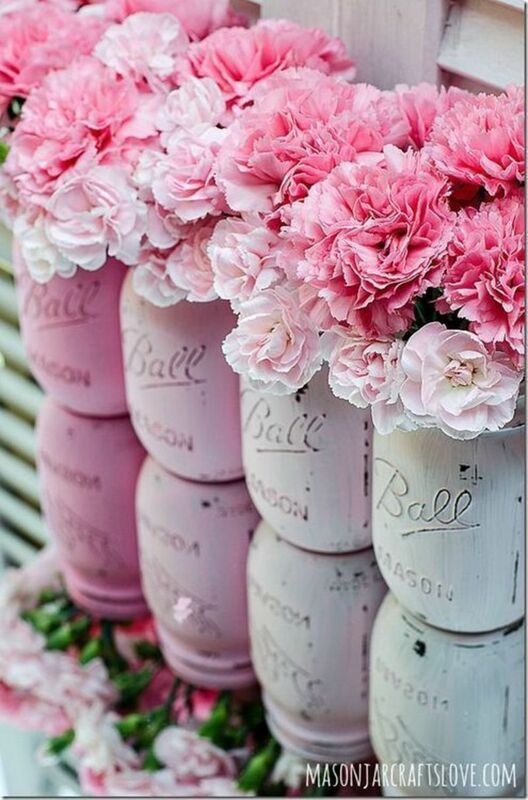 They make great flower vases and can even be painted to match the color of the flowers. Pink is a very warm and gorgeous choice for just about anything. An old tin can never looked so good wrapped in a bit of burlap and lined with off-white fabric flowers and bows. 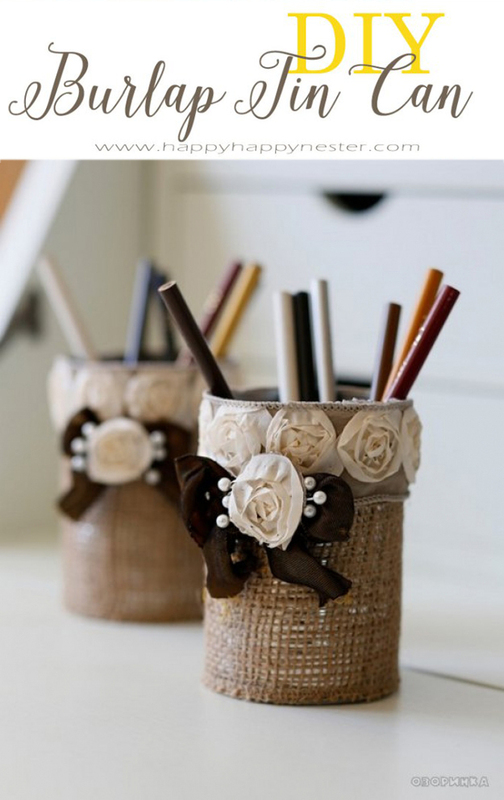 You can transform any desk or work space from boring to stylish with a couple of crafty accessories like this. Plus it serves a purpose in holding spare pencils and pens instead of stuffing them in a drawer somewhere to be forgotten. 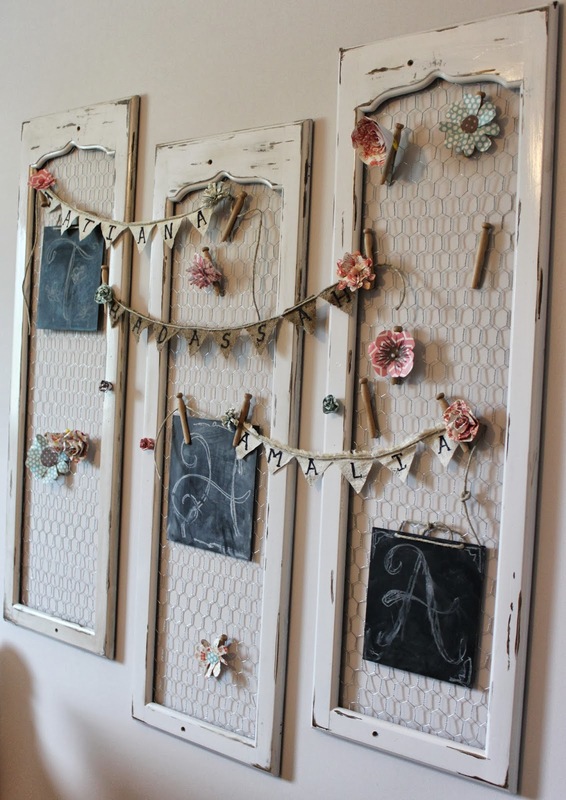 This crafter took some old wood shutters and used the outer wood as a frame with some chicken wire attached to the back to create a neat space to easily hang pictures and cute items. Decorated with some old fashioned clothespins and finished with little monogrammed burlap flags gives these pieces a personal touch that can be customized for anyone. 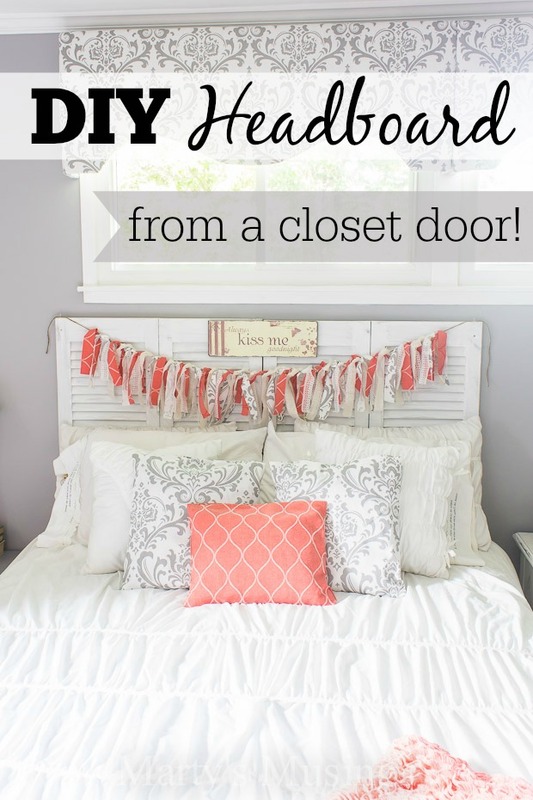 An old closet door can be used to make a simple, yet homey headboard for a shabby chic bedroom. This re-purposed door has been attached to the wall for stability and painted with a fresh coat of white, but sanded a bit for that worn look. 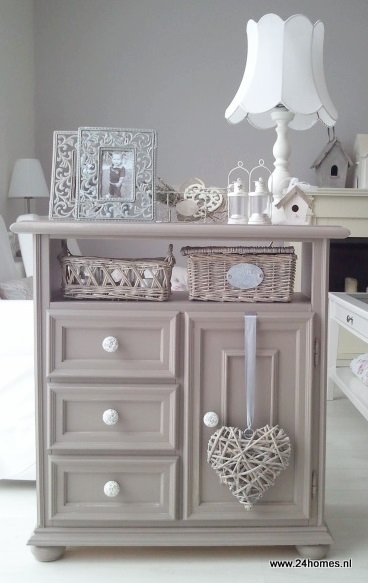 It just goes to show you what an old piece of forgotten furniture can be turned into with a little love and imagination. Whites, pinks and pale blues are among the greatest colors in a shabby chic decorator’s arsenal, but a clay gray shade is not to be underestimated. This small night table is coated in an earthy gray tone that makes it a perfect neutral piece for adding cute decorations and accents. It is basically a base that anyone can personalize with whatever they love. Pages from a music book aren’t just for plinking away on the old piano anymore. This artist used paper mache to wrap an old piece of music around a mason jar and trimming it with some twine and fabric flowers. This is perfect for any music lover and can be used for countless possibilities, from holding pencils to preserving sugar. If you have a plain old lampshade that just isn’t fitting in with your current style, some spare fabric pieces will completely transform it. The roses are made from fabric that is curled up like a garden hose and glued into place all over the lampshade to create a brand new look. The result is adorable and goes well with a shabby chic room that has other pink accents. Silver platters are given new life with a coat of matte white paint in this cute craft. 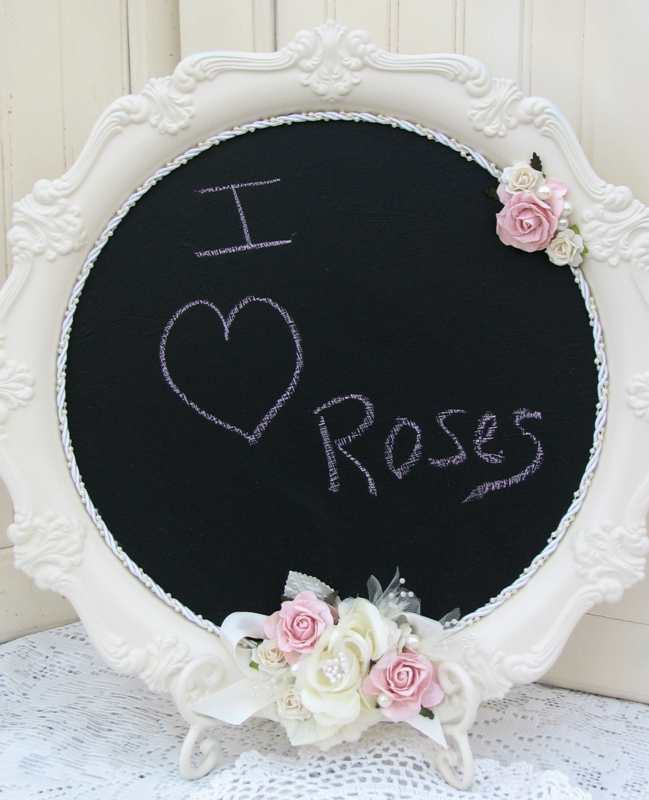 The middle is coated with regular black chalkboard paint that turns the whole platter into a framed chalkboard that can be used for decoration, reminders for appointments, and personalization. The sky is the limit for this cute project and you can even put some flowers around the edges for a more feminine effect.